Regarding to the two strains of HAC-2, there are minor difference in the cultivation and preparation of the lots. 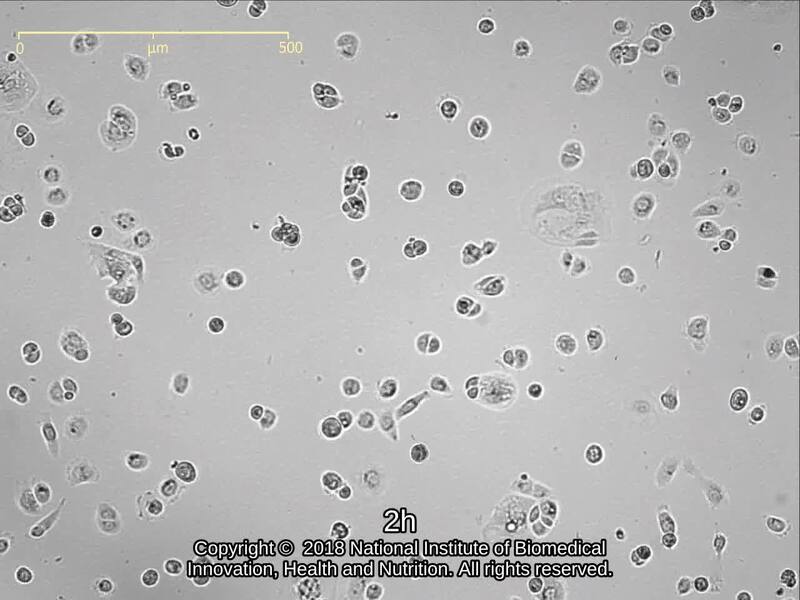 The JCRB1359 HAC-2 strain was first deposited at JCRB Cell Bank by Dr. Kuramoto (one of developer of this cell line). At that time, JCRB Cell Bank cultivated the cells accoding to the instruction by Dr. Kuramoto and passaged the cells by trypsinization after rinsed the cell layer with PBS(-). So, essentially the adherent cells only were the subjected to passages. However, as a characteristics of HAC-2, this cell line has been reported to form mirror ball-like structure (by pile up from cell monolayer). If the cells were rinsed with PBS(-), the cell aggregates forming mirrot ball-like structure were washed away. The secondary deposited JCRB1539 HAC-2 was deposited by Dr. Nishida (also the developer of this cell line). In the preparation of this cells lots, the cell aggregates as well as cell monolayer were also used for the passage (by collecting both to the centrifugation tubes after rinsing and trypsinization). The cell aggregates are more prominent in JCRB1539 strain, and seems to keep original characteristics in the aspects of forming mirror ball pattern. JCRB Cell Bank confirmed that the two cell lines display the same STR-profile (showing the same cell line). Human ovary cancer cell line derived from mesonephros. Ovarian clear cell adenocarcinoma, tetraploid. Clear cell carcinoma. Td = 46.8 hrs, CA-125 positive, M type LDH, PAS, Alcian blue positive, mirror ball pattern observed. Eagle's minimum essential medium with 15% fetal calf serum. Mirror ball pattern is observed.Mycoplasma was eliminated with MC-210.